With the exception of January which was the longest month in the history of life, this year flew by! 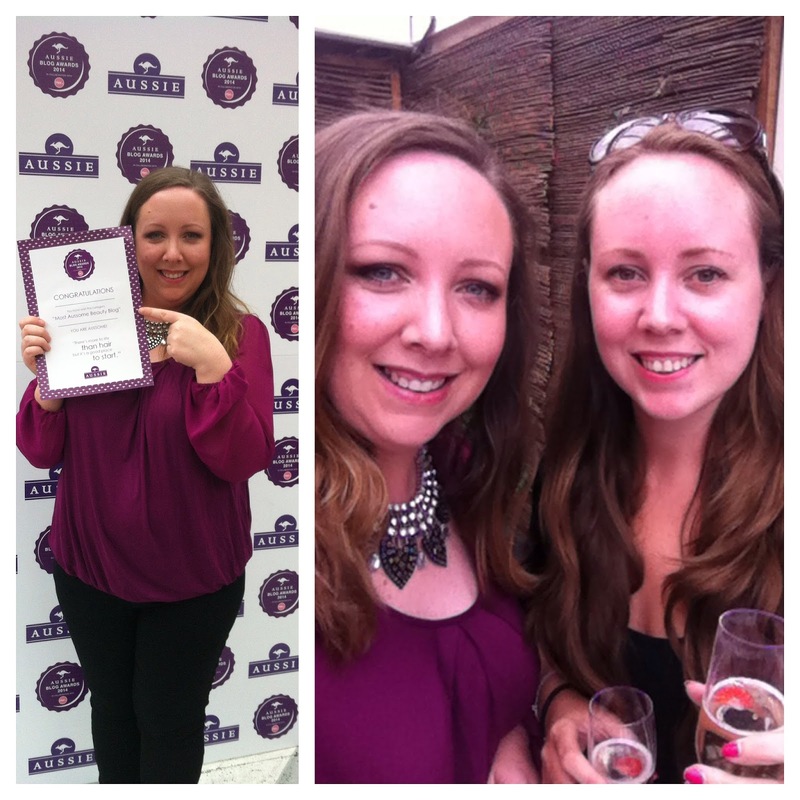 We had lots of excitement in real life, but I wanted to look back over 2014 in terms of blogging in today's post. It's usually at this time of the year where I reflect over how I felt things went and really take in everything that's happened. In January I went to a photoshoot with Smashbox where I had my hair and makeup done, (makeup courtesy of Janine Bird, my favourite MUA ever!) and had my photo taken by Davis Factor. It was the most surreal experience ever and I felt like such an eejit standing there not knowing how to pose! All of my America's Next Top Model research went out the window... But I loved my hair and makeup and had the best time with some of my fellow bloggers and the whole Smashbox team. We were sent copies of the photos taken that day, complete with one that was super Photoshopped and I loved it! Bye bye double chin eh! In June, the blog won Most Aussome Beauty Blog and Most Aussome Blog in the Aussie Blog Awards where we won a trip to Australia! Now that we've time over Christmas, we'll be organising our trip down under! We vlogged the evening and as I mentioned then, you could have knocked me over with a feather when they called out Lovely Girlie Bits. And because I'm a wuss and got overwhelmed, I teared up a bit. Winning awards is never what this is all about, but it's always nice to have recognition for the amount of work that goes into keeping this little corner of the internet going. 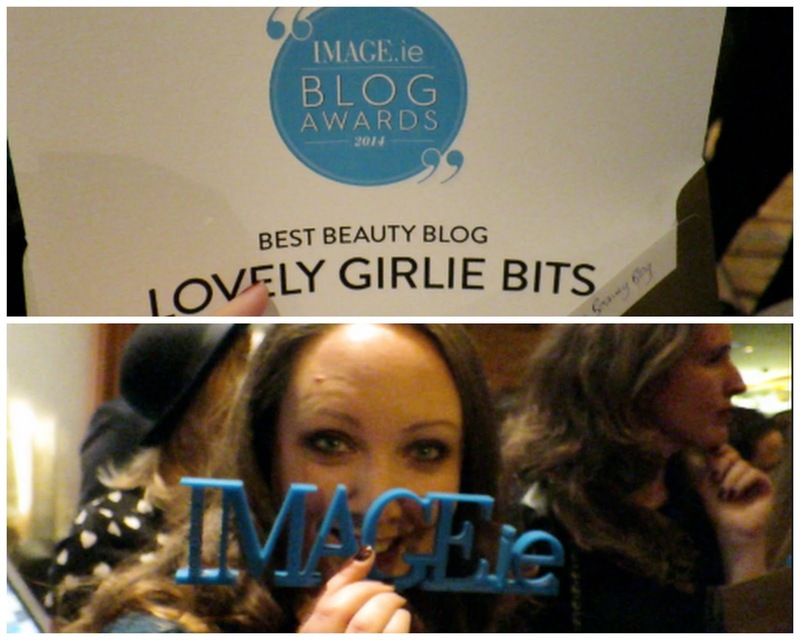 The blog also won Best Beauty Blog in the Image.ie Blog Awards and again, I wasn't expecting it at all. The evening started off wonky as my car died on the way into town and I'd to leave it parked on the side of the road while we got a taxi into the city centre. So my head was all over the place as it was, and when they called out Lovely Girlie Bits, I was dazed and confused! But I didn't cry! I did have a lump in my throat though but managed to keep the tears inside this time! Thanks to everyone who voted for us, you made the end of a stressful evening so much nicer! I got to meet skincare guru Caroline Hirons when she was over in Dublin a few months ago. I could seriously sit and listen to her talk about products all night and I'd a million questions for her that evening! You can read her blog here and don't blame me if two hours pass by without you realising because you'll have learned so much from her, so shh! She's funny, witty, explains things so that you actually have a baldy notion of what's going on with skincare and really knows her stuff. When I got the email seeing if I wanted to meet Charlotte Tilbury this year, I actually squeaked out loud. My boss looked at me funny but knew that I must've gotten a special email and wouldn't you know, the day Charlotte was in town, it was lashing, I looked like a drowned rat, but it didn't matter! Charlotte is one of the most passionate women out there that I've had the chance to meet and lives and breathes her work. I've a vlog showing her in action that I'll edit and upload in the new year but doesn't she know how to work a selfie! I started blogging for the Irish Country Living website which was really exciting and nerve-wracking at the same time because I'm always scared I'll let people down when I write for them and push myself to make the pieces the best they can be. It's one thing blogging for yourself, but another doing it for someone else and I love it! You can read my most recent piece here and stay tuned for next month's post! In terms of the blog itself, I managed to hoof out 326 blog posts. I tried to do my usual 5 posts a week and then do at least one video, but as life got in the way, I had to cut back a bit. Quality over quantity dontcha know. I have a plan of how I want 2015 to go in terms of blogging and I can't wait to watch it unfold. I might start back doing the Slimming World posts and videos, but as usual, this is a beauty blog and if that part of things starts to suffer, I'll be cutting back on any non beauty things for now. I've a lot of things in the works for next year, so I hope you keep coming back to Lovely Girlie Bits because I'm fired up and ready to tell you about all the things! Thank you for sticking around with us for the past year. You guys keep me going with your comments, emails, tweets, Instagram comments and you are the ones I can't wait to tell when a new product knocks my socks off! I hope you hang around in 2015 because I've loved having you and have lots in store for you next year! Girls you are the best blog out there! So hardworking and you can tell the amount of effort you put in to every post. You deserve all the awards you received this year! Looking forward to seeing what's gonna happen on LGB in 2015! Wow you're achievements this year are amazing. You two and this brilliant blog are an inspiration to me! Wishing you an even better 2015! Happy New Year! We'll done girls on your awards this year. Your blog is a very enjoyable read every week. Keep up the good work & best wishes for 2015! you're flying it! was so nice to meet you a few times this year, looking forward to everything of yours in 2015!